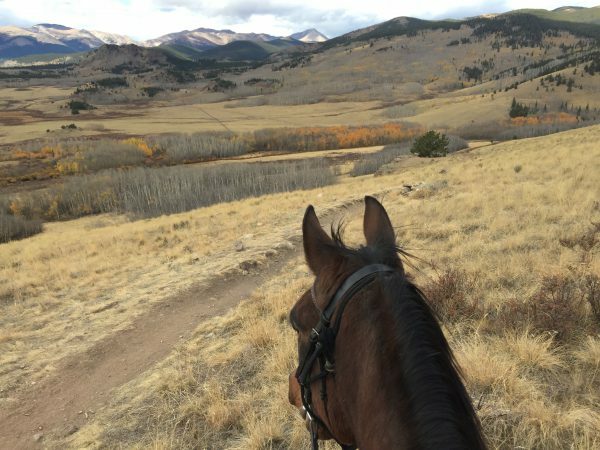 When Kaitlin moved back to California after college, she started taking Sabre out on the mountain trails. As he aged, the steep and rocky trails started to slow him down a bit, so she decided to start him on a joint supplement. She chose SmartFlex Senior Pellets because they had all the ingredients she was looking for at an affordable price. After starting on the supplement, Sabre was raring to go on the trails and was comfortable doing work in the arena, too. I tried to retire Sabre in 2016, but he wasn’t having it! 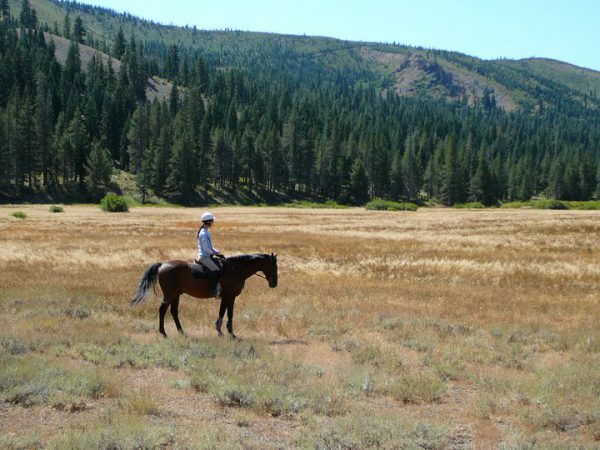 We continued to trail ride around the hills and beaches of California until we moved to Colorado last year, and now we ride around mountains and lakes. He’s fit, sound, and loves to work, so we also do arena work, poles, and a little jumping. Because I’m asking a lot from him, I want to give him every possible chance to feel as good as he can. Keeping SmartFlex Senior Pellets in his SmartPaks has been an easy way to help him stay comfortable.